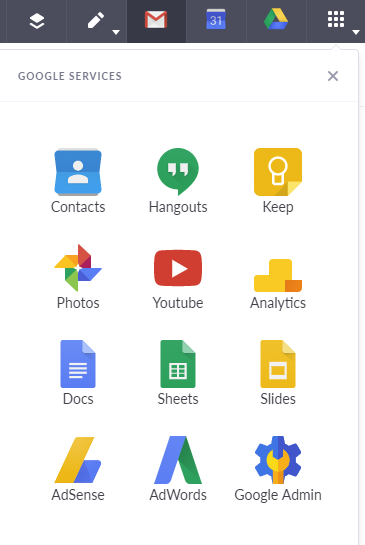 In addition to Mail, Shift currently supports Google Calendar, Drive, Docs, Sheets, Slides, Contacts, Photos, Adwords, Analytics, Keep, Hangouts, Adsense, and Google Admin. If you'd like your Drive files to open within Shift head over to Settings > Accounts and toggle on "Open Google Docs in Shift". This will open all Drive files in a new Shift window, instead of in your browser. Think we should support something else? Please submit a feature request here or take our survey, we'd love to hear from you!